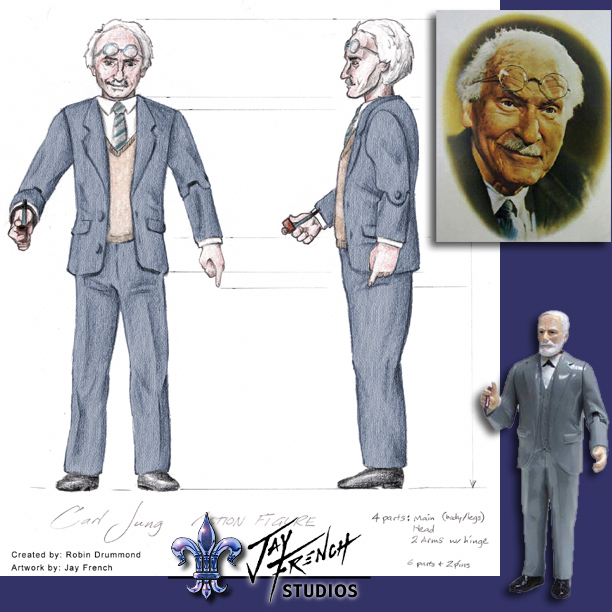 This was a set of design sketches for producing an action figure of renowned psychiatriatric pioneer Carl Jung! 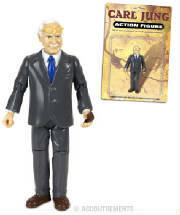 In the bottom right corner is the already existing action figure of Sigmund Freud, which was our springboard. Below that is how the figure came out!